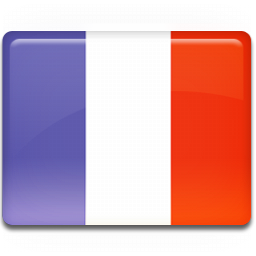 ENVISOL offers you, in France and abroad, a team of experienced engineers to give training courses combining theory and practice. These training courses can be held in cities that are not listed here, if there is a local interest for our courses. Design of programs and “customized” training material, at an inter- or intra-company level. 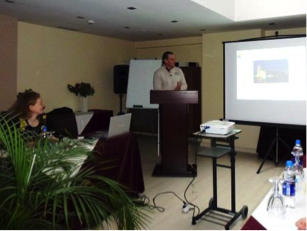 Training courses (new methods for polluted site and soil management, site diagnosis, rehabilitation project management …). 2016 Training schedule. 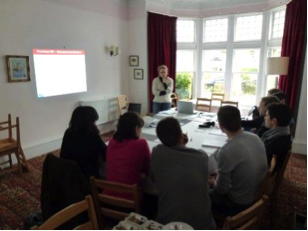 The duration of the training courses varies according to the participants’ expectations (for further information, please contact ENVISOL). Register by clicking on the date of your choice! 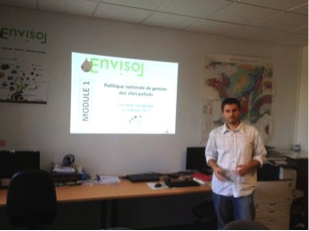 Many training courses were conducted at the facilities of ENVISOL and of interested communities and companies. Gaël PLASSART, ENVISOL co-manager, PSS expert, as well as Cédric COATTRENEC, project manager – Hydrogeologist, had the pleasure of conducting training courses for very different audiences: business managers, promoters, city planning officials, public stakeholders, HSE experts… wishing to acquire the tools to better tackle the pollution problems they are facing. Know the fundamentals of remediation. 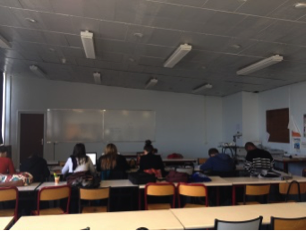 Aurélie Malvoisin, consultant specialised in polluted sites and soils, and head of the Rouen agency, conducted training courses in November, 2013, at the university of Rouen for 2nd year students following the professional master’s degree course (speciality: Environment, Soils, Water, Biodiversity). 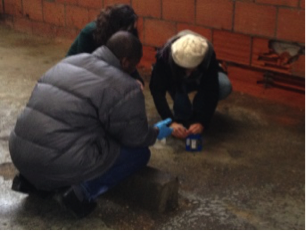 During the two-day training program, Aurélie Malvoisin presented the global approach to polluted sites and soils management (regulatory and technical) with a case study of a site: history, investigations, interpretation of results. 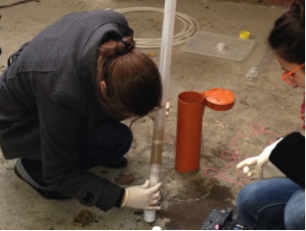 There are practical field trips to accompany the theory, with, for instance, sampling groundwater and gas. 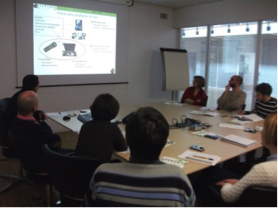 Envisol invites you to « Envisol’s morning meetings », with breakfast conferences on the subject of polluted sites and soils. Several morning meetings have been held since 2015 in our agencies, covering various topics. By presenting real cases, the morning meetings offer the opportunity to exchange ideas on specific subjects, by adapting technical explanations to « popular science »: the purpose is to be understood by a broader audience. These exchanges are highly interesting. They raise the awareness of the participants as to our activities and latest innovations, and provide an efficient way to understand the needs and questions that people might have about various subjects. 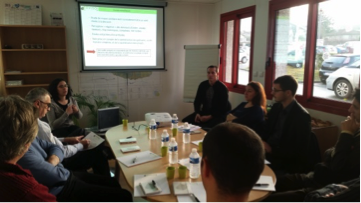 Our next morning meeting will take place at our Rouen agency, on the 26th of January, 2016, at 8:30am. Discover some real cases, comparing various calculation methods and health risk representations and the use of an innovating risk mapping tool, ENVIRISK®. Do not hesitate to register!